Portrait of a Qalandar wearing a primitive fur. Inscription in Persian. 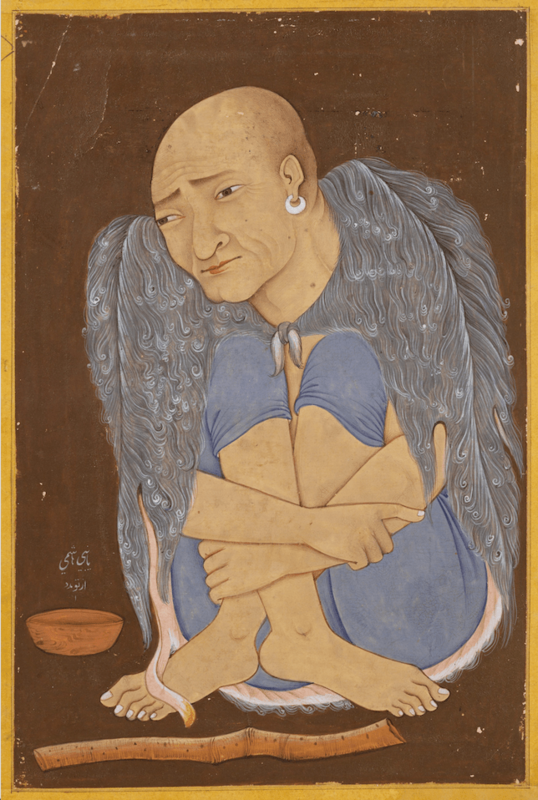 First quarter of the 17th century, Deccan. Courtesy of The Metropolitan Museum of Art, New York. Dahlén, Ashk P. 2018. The Qalandar in the Persianate world: The case of Fakhrod-din ʿAraqi. In Albrecht Berger & Sergey Ivanov (eds. ), Holy fools and divine madmen: Sacred insanity through ages and cultures (Münchener Arbeiten zur Byzantinstik 2), 125–153. Neuried: Ars Una. The mystical poetry of Fakhrod-din ʿAraqi (d. 1289) has been considered to be unparalleled and he has been celebrated as the most eloquent spokesman of divine love in the history of Persian literature. His literary production is above all distinguished by the depth and audacity of its unbridled esoteric speculations and the intensity and brilliant color of its religious expression. The aim the present article is to examine the Qalandari phenomenon, its spiritual doctrine and practice, in the context of medieval Persia with specific reference to ‛Araqi’s lyrical poetry. On the evidence of his biography and religious teachings, there can be no doubt about the importance of the Qalandari doctrine for ‛Araqi himself. Reliable information concerning his life reveals that he considered social respect as one of the most dangerous pitfalls on the spiritual path. The quintessence of his notion of piety is man’s absolute nothingness before God and ultimate annihilation in the divine attributes. ‛Araqi’s criticism of conventional piety and excuse of scandalous behavior constitute the central tenet of antinomian Qalandari mysticism: outwardly he behaved in a foolish manner according to the conventional standards of society, but inwardly he pursued a religious ideal, inspired by experience of God’s beauty and majesty. In fact, he is probably the most outspoken poet of the qalandariyāt genre and his poetry is traversed through and through by its paradoxes. Marked by a unique blend of antinomian thematic features and a rich symbolic imagery, his poems preserve a subtle harmony between the possibilities of transcendental and profane allusions. In this respect, he became a perfect model for Persian literature, influencing Hāfez and Sa‛di, undisputed masters of the ghazal, and inspiring many other writers of the following centuries.